Investigation of mangroves and seagrass as two productive biomes, beginning with the distribution of these biomes worldwide and locally at Botany Bay. 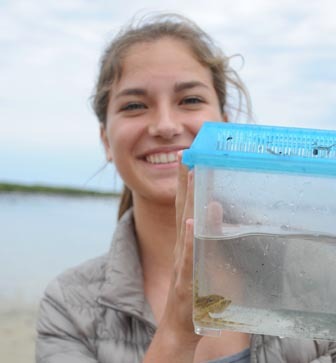 Students will measure physical and chemical characteristics of marine and terrestrial environments such as salinity, and discuss the adaptations that plants and animals possess to cope with these conditions to maintain biome productivity. An animal catch is conducted to highlight the aquatic biodiversity of the two biomes. This is placed in the economic context of aquaculture, and Botany Bay's history of oyster farming in particular will be discussed.